This was so simple and probably one of my favorite summer pieces. I can wear it as a poncho, skirt, blouse, and criss cross the strings creating different styles. I found this lovely table doily at a garage sale for 50 cents. I had this for a couple of years sitting in my fabric bin saving it for something special. I couldn't figure out if I wanted it a skirt, blouse, or poncho, so I made it all 3. 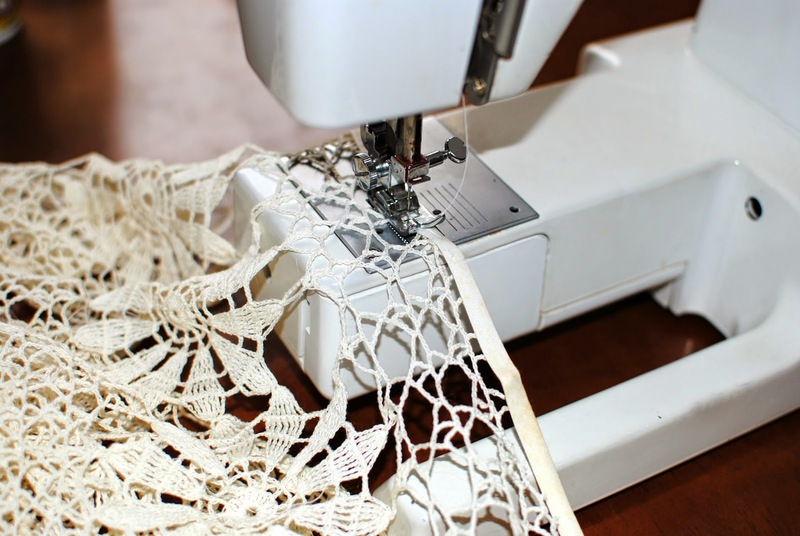 The hardest part for anyone recreating this is finding a large enough doily…I'm sure you can use a square one as well or other fabrics with this technique. 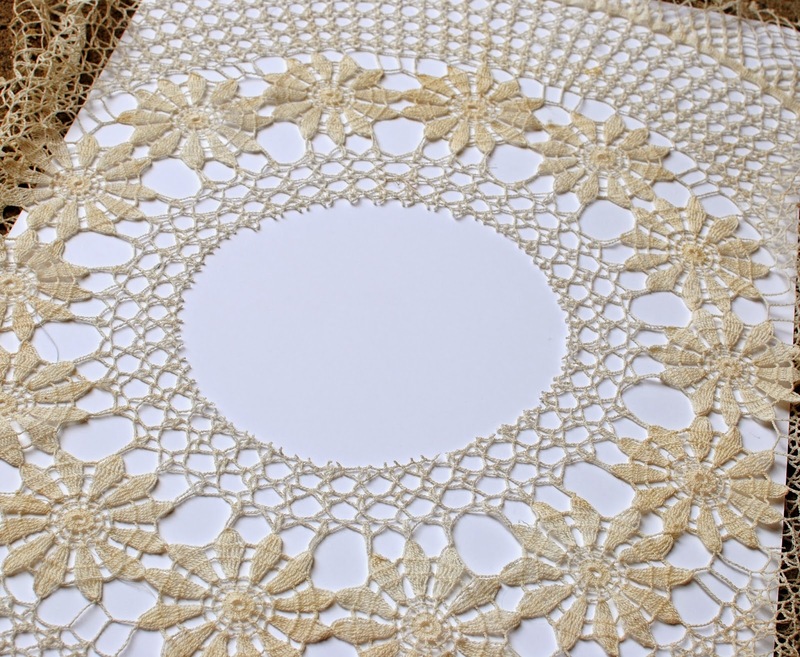 Cut a circle in the middle of the oversized doily. It will stretch so don't cut too much…as long as it can fit over your shoulders. Use binding to sew around the cut edge. If you want this to be a skirt, you will need to make sure you can fit a draw string through it. I'd also suggest adding 2 button holes side by side before sewing for the drawstrings to loop through. Simply add 4 strings evenly around. Top stitch them along the edge of the binding. If you do a drawstring be mindful of not sewing the casing shut. this is soo cute!! nice idea! I love clothes with multiple uses. This is super cute, and I love that it's made from a discarded item. Gorgeous! Ooooooooooh, cuuuuute! I wanna try.